Is the Sephora Beauty Insider Program Worth It? Slickdeals News & Articles List Sephora Beauty Insider Review: Are the Rewards Worth It? Find out how the store's rewards compare to other beauty retailers. Anyone who's ever shopped for makeup and skincare knows that looking good isn't cheap. Fortunately, the Sephora Beauty Insider program rewards shoppers with special perks and discounts — but is it the best option for you? We're taking a look at its membership benefits and how they compare with other retailers. 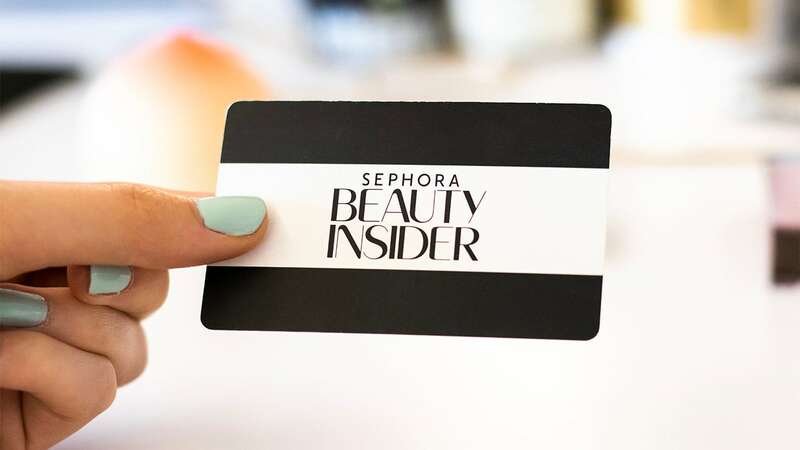 What is Sephora's Beauty Insider Program? Sephora's Beauty Insider program lets shoppers accumulate rewards based on how much they spend in-store and online during each calendar year. You can use those rewards towards future purchases. All Beauty Insiders can redeem their points at the store's Rewards Bazaar. New rewards are added each month and cost between 50 and 5,000 points (or more). You can cash in your points regularly for 100-point deluxe samples, or you can bank them for something more extravagant (like a 500-point sampler from a prestige brand). Beauty Insiders also score a birthday gift, as well as occasional coupons for 10 to 20% off sitewide or certain dollar amounts off their next purchase. Additionally, VIB and Rouge members can choose a "Tier Celebration Gift" when they level up (like 500 bonus points or free makeovers). The best perks naturally belong to Rouge members, who receive free shipping year-round, higher discounts and early access to new products and special sales. If you want to stay informed of the latest Sephora sales, take a second to set a Deal Alert with us. How Does Sephora's Beauty Insider Program Compare to the Competition? While Sephora lets you trade in points for products, Ulta turns your points into straight discounts instead. In a recent comparison of the two programs, lifestyle site Swirled found that Ulta's Ultamate Rewards program gave you more bang for your buck based on the total cost-per-ounce of Sephora's rewards. Several of the brands Sephora sells have their own rewards programs, and they're typically better options for brand loyalists. For instance, bareMinerals' FAB members get spoiled with birthday gifts, insider coupons and $10 off every $150 they spend, on top of auto-delivery discounts. While Sephora coupons are typically few and far between, Macy's regularly offers 15% off its beauty products and free gifts with purchase. Plus, some Macy's beauty products ship free of charge. The store's Star Rewards program is free to join and gets you a special birthday offer and faster rewards on Star Money Days. Who Should Become a Sephora Beauty Insider? All beauty lovers can benefit from Sephora's Beauty Insider program for the free birthday gift alone. But Sephora's rewards are likely best for those who love experimenting with new makeup or prefer prestige and indie brands that are exclusive to the store. If your favorite products are sold elsewhere, you may just want to shop around.